Beginning to see a few more fungi about as autumn approaches. 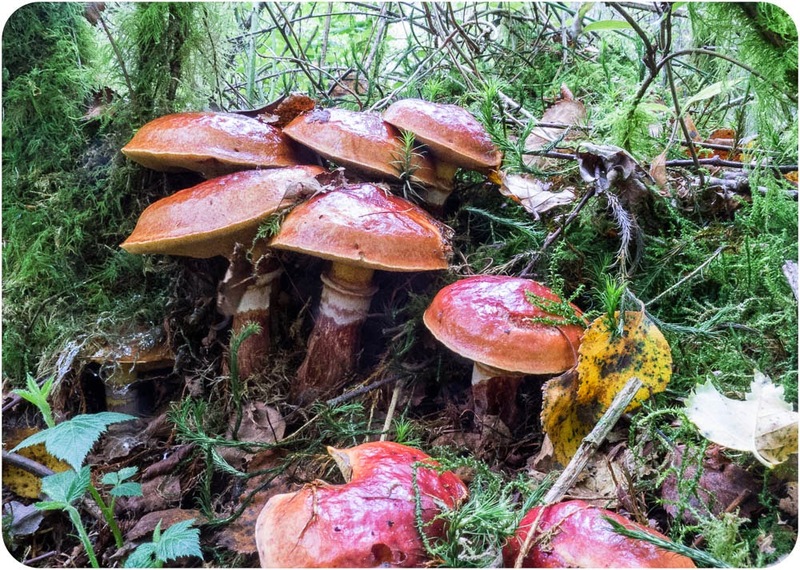 Included were a nice group of boletes (Suillus sp.- with their slimy brown caps). 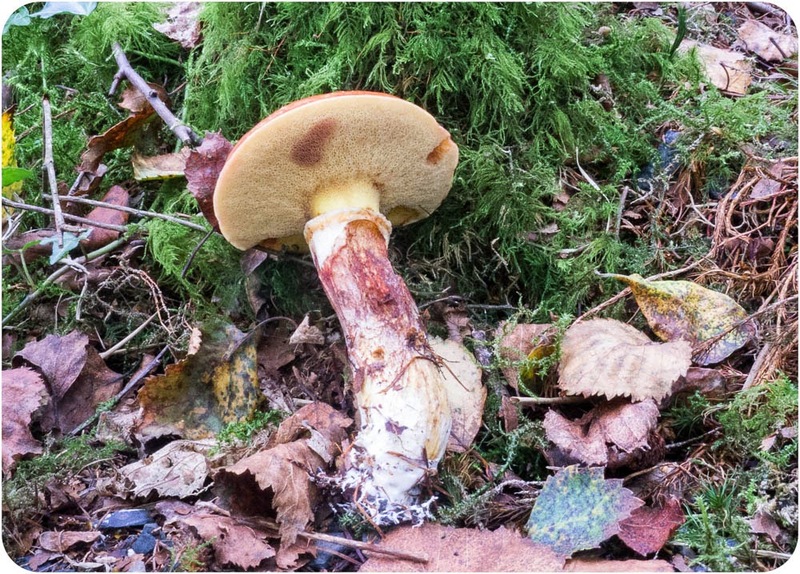 Probably a Larch bolete as the gills bruised to a rusty brown, but a forgot to check what sort of tree they were under - must add that to my "to do" list next time! 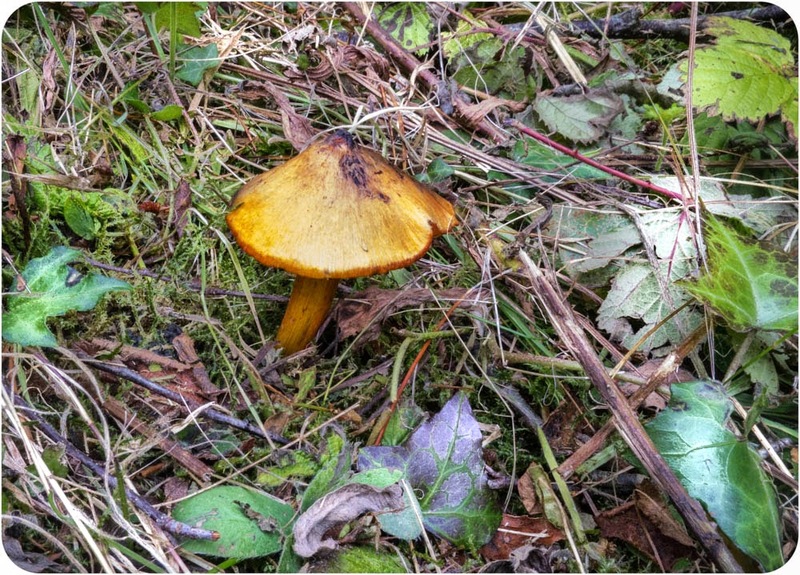 Another nice example was a Blackening waxcap (Hygrocybe conica). 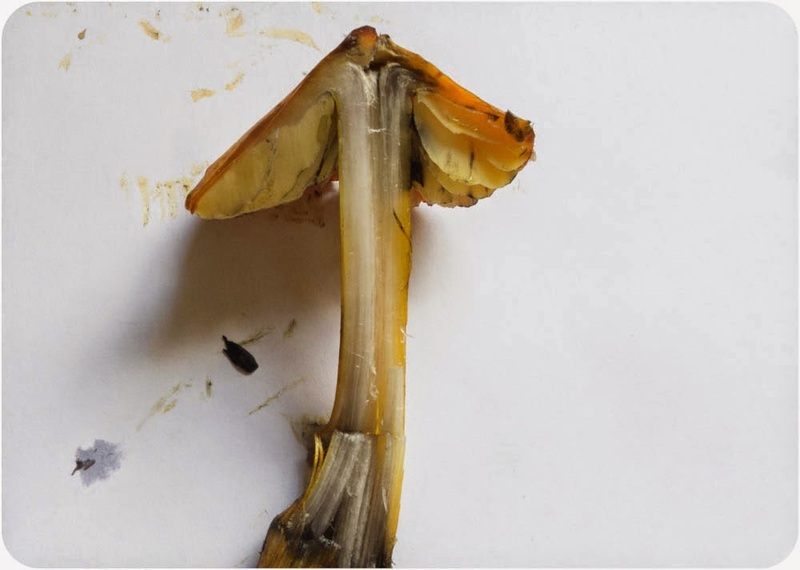 It was strange to see the waxcap alongside a path in the middle of the woods rather than in the surrounding fields. The blackening waxcap has popped up in large numbers at the Boatnic Garden over the past week - very orange they are this year.